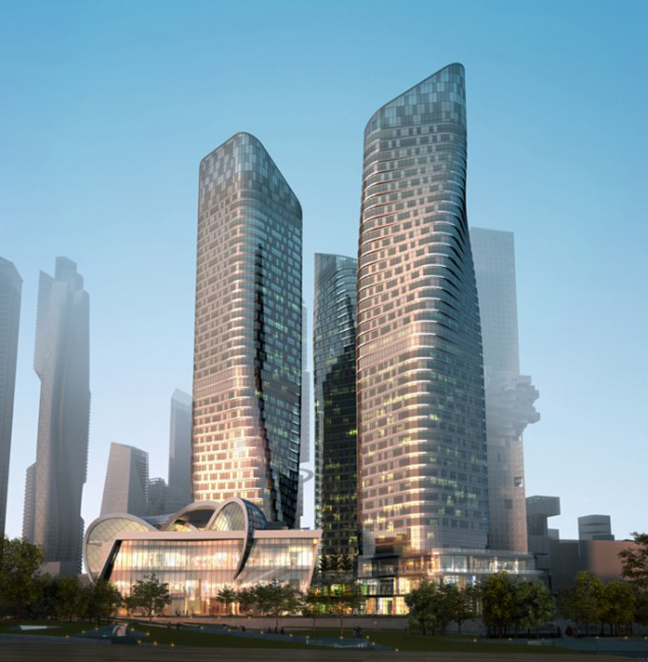 The design concept for the three 41-story residential towers was inspired by a traditional Korean Buddhist dance, Seung-Moo, wherein the billowing sleeves of a dancer’s gown are gracefully propelled by. 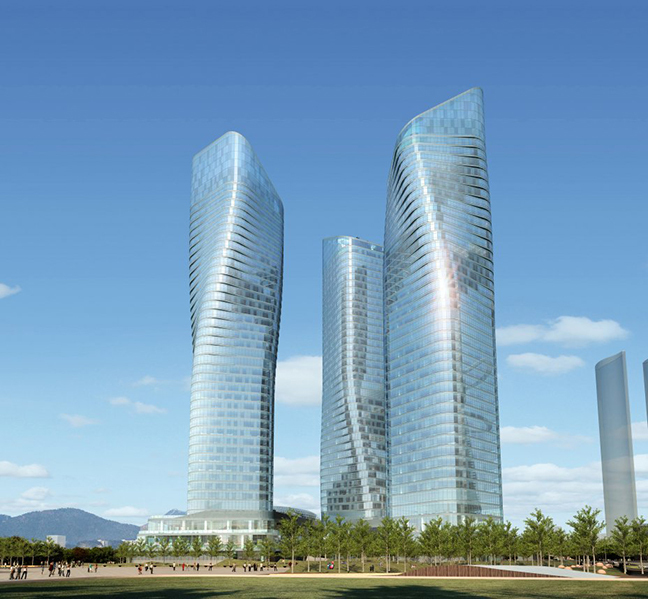 In this case, a subtle rotation in the form of the towers creates the illusion of movement. Sophisticated engineering makes this illusion possible. Floor weight is supported by a central concrete core and alternating cantilevered fin walls, allowing for column-free buildings that enable the forms to twist, creating the illusion of ‘dancing,’ while opening up interior spaces for panoramic views. 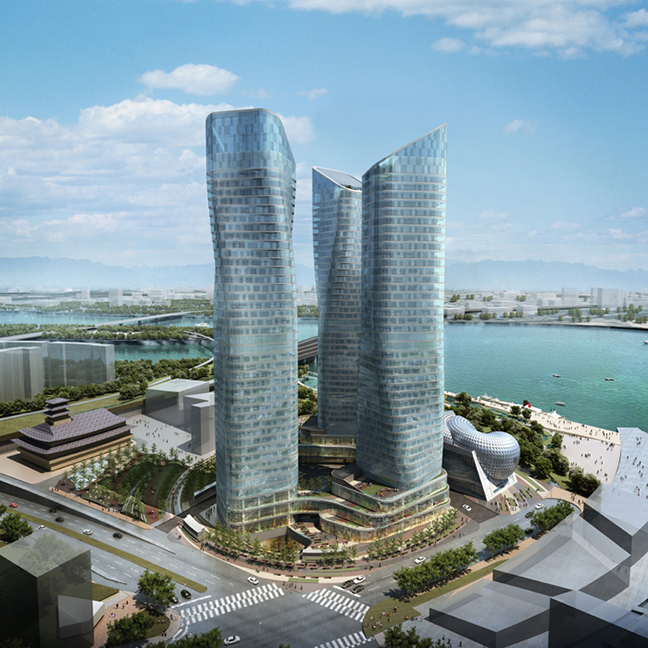 The general location and rotated siting of the three towers allow light to enter into residential spaces and provide views of the water, the Yongsan International Business District development, the city of Seoul and the mountains beyond. The mixed used development was designed to accommodate more than 830 units for middle-income residents and a connecting base that includes retail and parking.